Increasing your upper-body strength is about more than just gaining muscle. Strengthening the arms, shoulders, chest and back can have a significant and lasting effect on your overall health and quality of life, and plays a key role in the prevention of pain and injury. Why is upper-body strength so important? The upper-body controls your ability to perform everyday actions such as reaching, pulling, pushing and lifting. Maintaining a strong upper-body allows you to meet the physical demands of daily life with relative ease, and increases your chances of leading an active and independent life as you age. Having a strong upper-body is essential for maintaining good posture and health. As we get older, bad habits such as slouching and inactivity cause muscle fatigue and tension that ultimately lead to poor posture. The complications of poor posture can include back pain, spinal dysfunction, joint degeneration, rounded shoulders and a potbelly. Strengthening the back and shoulder muscles will help prevent slouching and improve your posture. Good posture can also have a significant impact on your mood and happiness levels, and has been shown to boost confidence, increase motivation and lower stress. Strength and resistance training (repetitive weight bearing exercises that gradually work to build muscle) has been shown lower the risk of musculoskeletal injuries such as fractures and strains. It has also been shown reduce the severity of these kinds of injuries when they occur. By strengthening your upper-body you can help minimise the risk of painful neck, shoulder and back injuries. Improving the muscle strength and tone of your arms, shoulders, chest and back can enhance your performance in other physical activities. If you are a keen swimmer, for example, stronger shoulders and arms can help propel you through the water with greater speed and efficiency. Each year your bones start to lose their strength. Strength and resistance training, including exercises that focus on the arms, shoulders, chest and back muscles, can help keep your bones healthy and build density, reducing your risk of developing osteoporosis. Feeling strong makes you feel good in the body and the mind. Research shows that strength-building exercises in general can have a positive effect on our mental health, including reductions in anxiety, depression and pain intensity, as well as improved sleep, confidence, self-esteem, self-efficacy and resilience. Stronger muscles aid in independent living as we get older. Our balance and general function are also significantly better when muscle is maintained. We naturally lose lean muscle mass as part of the aging process. 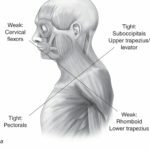 Loss of muscle mass in the upper-body can make it increasingly difficult to perform everyday tasks such as reaching items on high shelves, loading groceries in and out of the car, doing the housework, or even bathing ourselves. By maintaining and strengthening our arm, shoulder and back muscles, we can preserve muscle mass and increase our chances of being able to live an active and independent life. Variety is the key when it comes to strengthening the upper body. Following a weights program at the gym, using your own body weight to do push-ups in the park, and attending regular Pilates or yoga classes are all activities that can help build muscle and increase upper-body strength. For more adventurous types, outdoor activities like rock climbing, sailing, surf life saving and kayaking are sure-fire ways to build your upper-body strength! Free weights – classic strength training tools such as dumbbells or barbells. Weight machines – devices that have adjustable seats with handles attached either to weights or hydraulics. Resistance bands – like giant rubber bands – these provide resistance when stretched. Your own body weight – which can be used to perform push-ups and chin-ups. Help maintain flexibility and balance. Assist with weight management and increase muscle-to-fat ratio – as you gain muscle, your body burns more kilojoules when at rest. Reduce or prevent cognitive decline in older people. Improve stamina – as you grow stronger, you won’t get tired as easily. Prevent or control chronic conditions such as diabetes, heart disease, arthritis, back pain, depression and obesity. Manage blood pressure, blood sugar and blood cholesterol levels.